Compared to the previous decades, working mechanisms and trends in the corporate world has changed a lot. Things have become much more flexible and companies, especially small and midsized ones, have become open to adopt new strategies to enhance productivity and retain a workforce. This explains why a section of organizations have drifted apart from the age –old traditional 9-5 workplace schedule. Multiple shifts are being used in entities to help the employees find balance between their lives and company needs. These changes in mindset have paved way for rise of co-working spaces worldwide. There are several advantages the companies and their employees can obtain by using co-working spaces. · Flexibility of operations- For any company seeking growth, flexibility is a prerequisite. When choosing a co-working space setup, analyse if it allows your company to operate with ease and adapt to changes in team size. · Enhanced professional and social networking- When you work in a shared workspace facility, interaction with co workers and people is inevitable. While you may not bond well with everyone, it is very likely that you will find some people who may be of use professionally in the long run. So, try to find out the number of people working there and how many start-ups are sharing the space! · Reduced overhead costs- For small business owners and start-ups, opting for a shared workspace makes sense. In such setups, you need not bother much about incurring overhead costs. So, you will need to find out how many facilities like wireless internet and printing can be availed in such setups at low cost. · Suitable timing- You may not feel like adhering to regular work hours. 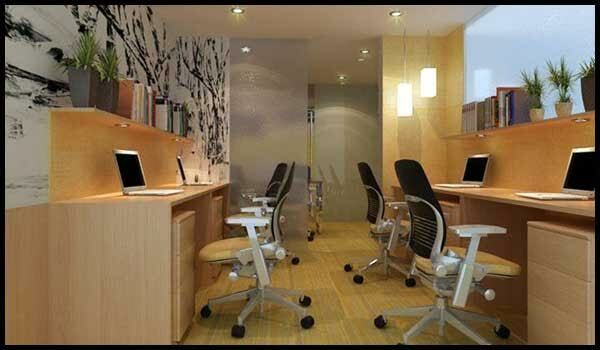 Therefore, it is important that you find shared workspace that enables you to work at your preferred timing. Before you opt for a co-working space, analyse your business needs well. In such workspaces, a few limitations may exist. A shared workspace might be noisier than what you like and a few people around may be difficult to get along with! However, these minor issues are not necessarily deal breakers if you find the aforementioned advantages in such a setup.